The Canterbury Bulldogs have had to deal with a lot of media bias against the club over the years. Whether it be due to falling out with the media by denying access to coaches or players, or just the fact that the large supporter base of the club gives the media a big potential readership for any negative story, the Bulldogs have copped it from the media pretty badly over the years. 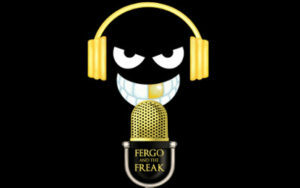 On the Fergo and The Freak podcast we talked to journalist Matthew Attard about the issue of media bias against the club, while also looking at the situation the club finds itself in right now, Dean Pays contract extension, as well as a few other key issues. To have a listen simply click the link below for the podcasting outlet you prefer, and don’t forget to subscribe for future episodes as Matthew is sure to a guest once again some time very soon.